VA-approved! Located just a 1 mile from the beach, this spacious Ocean View townhome features granite kitchen counter tops, SS appliances, private patio, and in-unit washer & dryer. Master suite features hardwood flooring, ceiling fan, large soaking tub with travertine surround, and double sink vanity with travertine counter top. Located just a short walk from many great restaurants, bars and shopping, this townhome is a great investment opportunity. Directions:the easiest entry into the complex is from Palermo Dr. Input 2300 Palermo DR. Enter the Bay Point Townhome complex via the small entry gate on the right side of complex and proceed down the stairs. Unit 3 is located on top level. SchoolsClick map icons below to view information for schools near 2257 Worden St San Diego, CA 92107. Home for sale at 2257 Worden St San Diego, CA 92107. Description: The property at 2257 Worden St San Diego, CA 92107 in the Point Loma subdivision with the MLS# 190006935 is currently listed for $460,000 and has been on the market for 79 days. 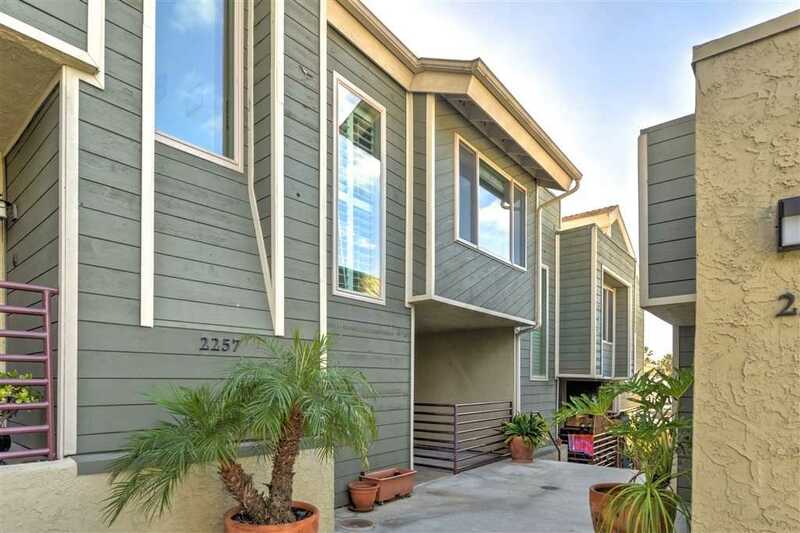 You are viewing the Sandicor listing details of the home for sale at 2257 Worden St San Diego, CA 92107, which features 2 bedrooms and 2 bathrooms, and 1120 sq.ft. of living area. Listing information last updated on 4/25/2019 6:45 PM.